Before I get too misty-eyed and start giving out tentacle laden hugs, let’s change the subject to something a little bit more clinical: Value Traps. When the markets are down, value traps abound! That’s the saying anyway. With markets down significantly from their 52 week highs, I thought today might be a good opportunity to discuss value traps. A very popular stock investing strategy is to invest in “bargain priced” stocks — these are commonly called “value stocks”. Value-priced stocks typically trade at lower price multiples when compared to other stock categories (such as growth stocks, or tech stocks). Value stocks tend to look attractive to investors because the cheap valuations make it appear the investor is getting a bargain price (or a bargain priced stream of future earnings). In the past, value stock investing was a very successful strategy, espoused by none other than the likes of Warren Buffett himself. But in recent years this strategy has underperformed. Performance of value stocks has been poor compared to growth stocks. Sometimes this happens because all that ‘value’ isn’t much of a value at all. Sometimes value stocks are actually something called a “value trap”. These stocks are cheap for a reason. Value traps (as opposed to value stocks) are investments that appear to be selling at steep discount to traditional valuation metrics (PE, price/cashflow, book value,etc), but will crush the hopes and dreams of any investor. 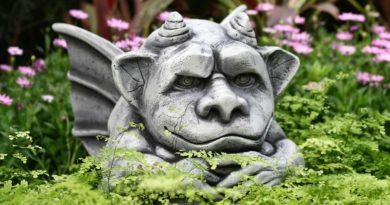 By all accounts, the investment looks good — They appear to be a good value, but value traps are there to capture unwary investors. Let’s say an investor puts $10,000 of his or her money into a value stock thinking it would be a good investment. Hoping for a big win, the investor watches diligently for the impending value to be realized. Except it doesn’t happen. After the purchase, the value stock continues to fall in price. Business continues to get worse and worse. That $10,000 turns into $5,000 — a serious loss for the investor. This is the trap — By all accounts, a value trap looks like a solid investment, but it isn’t. General Electric is an example of a recent value trap that did exactly this. This iconic industrial giant was once America’s most valuable company, and is now sadly a shadow of its former self. On the surface, GE looked like a very good value buy — A strong global company poised to rebound… and this particular value trap pulled-in many smart value investors over the last couple of years… and then burned them all. 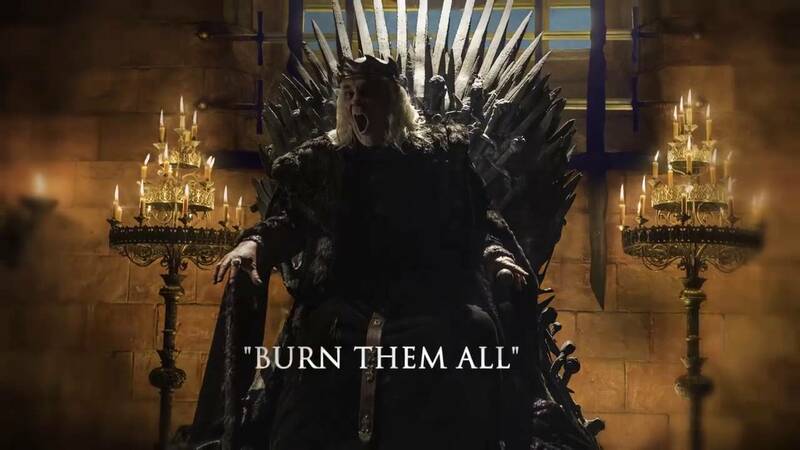 The mad king attop GE might have looked like this… maybe. In 2016 GE shares traded at $30/share. Today it’s priced at around $8/share. Yikes!! Will we see a GE bankruptcy? It’s very possible! Before you hard-core indexers scoff at the incredible folly of stock pickers, please remember that GE is part of the S&P 500 — which means most index fund investors also suffered losses from investing in this value trap. This titan of industry completely fell apart. Over $500 billion in value was destroyed. It’s been a giant disaster for everyone! I know, I know… I’m being negative! Instead of focusing on all the negatives of this debacle, let’s try to turn that frown upside down — Let’s learn how to avoid these messes in the first place! If you’ve ever operated a boat in Arctic waters, one of the first things you learn is to steer clear of icebergs. Why? They’re friggin dangerous. 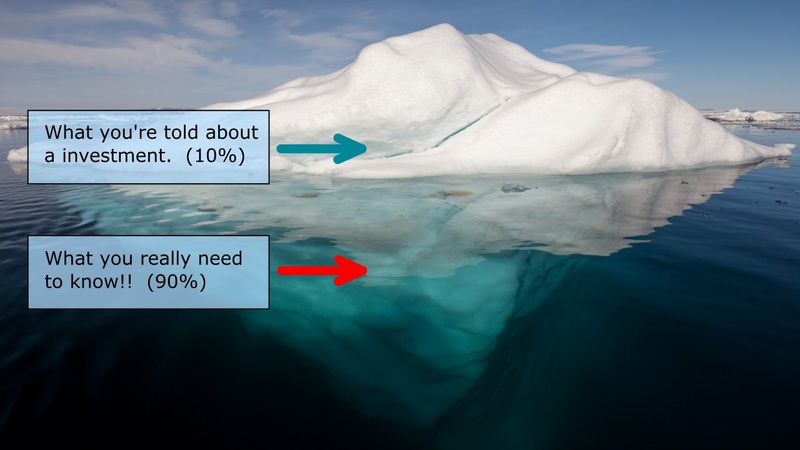 90% of an iceberg is underwater and completely hidden from view. Icebergs are liable to shift and roll at any moment. I had it happen to me once with a fairly small iceberg, and it was still scary! It could have crushed the boat we were in! Thankfully, Mrs. Tako and I survived to tell the tale of the rolling iceberg. The lesson learned here can also be applied to investing in large conglomerates. While a company like GE posts regular earnings reports and annual reports, how much of the really important information needed to understand that investment gets published in those investor reports? Not nearly enough. Only about 10% of what an investor in GE would truly need. Conglomerates (like GE) are comprised of dozens of businesses in a huge variety of industries. It’s impossible for any one person to be an expert in them all. There’s no way a complex business like that could be summed up in one slick annual report! This is why I believe 90% of the information an investor really needs to invest in a company like GE is not visible to the public. Like an iceberg. Investors suffer from a dearth of information, and the larger more complex the investment the worse this problem gets. Know your limitations before you invest. Don’t discover them later. Investors often head into investments with far less information than they really need to know in order to understand a business. This is why I usually take a ‘hard pass’ on investing in big conglomerates like GE (outside of index funds). They’re too complicated and I’m way too dumb to understand all the different businesses and economics that apply to them. Wherever possible, I prefer to keep my individual investments in much simpler situations and avoid getting crushed by giant icebergs. Another area where value traps are commonly found is in declining industries. Today, the most prominent declining industry found in the news has to be physical retail. Sears just went bankrupt, Toys ‘R’ Us folded in 2017, and many other physical retailers have closed their doors in recent years. It’s all over the news. As a result, shares of troubled physical retailers are cheap. It’s tempting to dive into these investments due to the value they represent, but danger abounds! I’ve even written about several retailers that might represent potential investments — like Gamestop and several auto parts retailers. But I haven’t invested. Frankly, I’m too chickenshit to invest. The problem is in extracting value from investments like this. 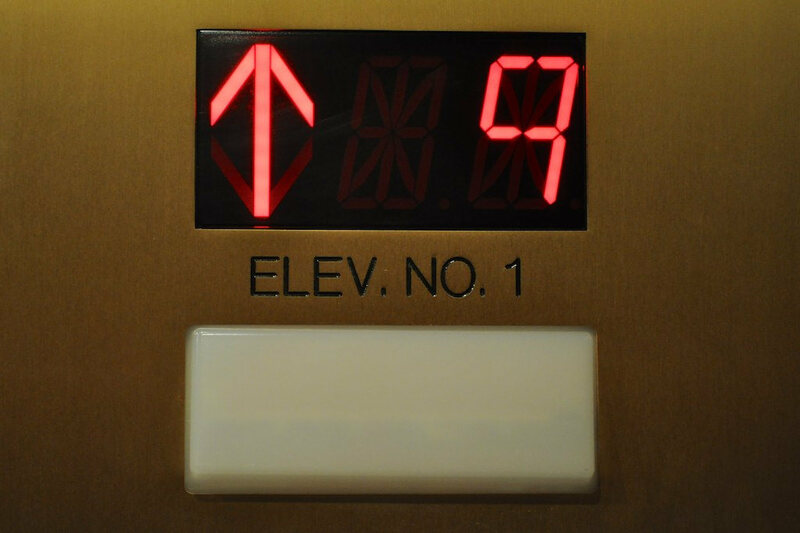 Like an elevator, most investors prefer to ride the investments that are going ‘up’, but they’ll break ranks once that elevator shows signs of going down. Stocks are like elevators — everyone loves ’em when they’re going up. But when they go down? Look out below! When everyone exits the elevator, this will absolutely punish the shares. It also means investors won’t be realizing profits from capital appreciation any time soon. You’ll be limited to dividends and share buybacks until the company turns things around (if ever). But did the market dive out of the elevator too quickly? Is there value to be harvested? These are answerable questions, but extracting that value is the really tricky part for small investors. Large hedge funds often take control of the value extraction (as was the case with Sears), but rarely do small investors do well in these situations. My rule of thumb is that it’s best to avoid industries in decline… unless you have a very clear path to value extraction (and a fair understanding of the pace at which the investment will decline). 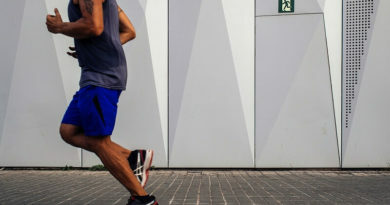 Despite warnings to the contrary, many newbie investors often get attracted to investments with large dividend yields and equally large debt piles. This is frequently a value trap. 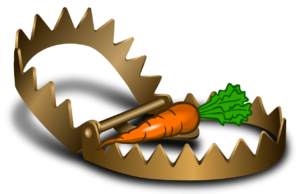 The investor focuses on the dividend carrot and fails to see the frightening bear trap of debt ready to spring shut at a moments notice. That dividend carrot looks nice, but ignore the debt trap at your own peril. GE was a perfect example of this — For years the company paid out nearly 100% of free cash flow as dividends, and financed everything else with debt… Including some very questionable acquisitions that had no hope of ever covering their debt load with free cash flow. In hindsight this equation looks like a clear disaster in the making, and investors should NOT have been surprised when the dividend was cut a couple of weeks ago. Here’s my rule of thumb to avoid this kind of value trap: Under most situations, dividends should not exceed 50% of free cash flow. Debt to equity levels should stay under 1. Debt interest payments should be easily serviceable out of free cash flow after paying out dividends. There are certainly exceptions to this rule (such as when investing in REITs), but these numbers should wave a red warning flag of caution for the most common investments. Turnarounds are another form of value trap that “catches” unwary investors. What traps investors here, is a little song that management likes to sing called a ‘turnaround’. The CEO promises that “things are going to change” and “business is going to come back soon”. “The turnaround is just around the corner!” the fearless CEO exclaims. That siren song tends to draws-in investors, but the promised changes frequently fail to materialize in time. My advice about turnarounds: They often fail to turn as expected. Avoid them when possible. The bigger the ship, the harder it is to turn. Sears was once sold as a turnaround. It never happened, and we all know how that story ended. IBM is being sold as a turnaround right now. Will IBM be able to transform itself and fix its problems? Hard to say. That would require a crystal ball in order to tell, and I’m fresh out of crystal balls. I hope you enjoyed today’s look at the most common value traps that entice and capture unwary investors. 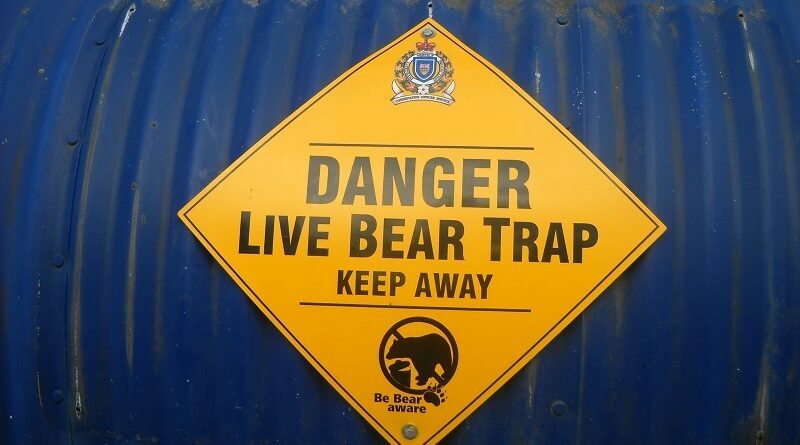 While certain stock prices might look beaten-down and cheap today, smart investors know that the value traps are lurking out there in the wild! Keep on your toes and be warned! There’s more to investing than looking for perfect valuation metrics and large dividends! ← What Is This Crazy Blog About? Great summary! I got burned on GE too, being too attracted to the dividend. I’m watching the same thing happen with AT&T and I’m left wondering if I should jump ship or hope for a recovery. How do you feel about oil stocks? They offer attractive dividends, but will the market still need them in the long run? Sorry to hear about your GE investment. Oil stocks can be very volatile as can oil prices. Investors should be very careful and understand what they’re getting into before touching that sector. For the moment, the world continues to use a growing amount of oil. This is positive for the industry, but won’t go on forever. At some point there will be declines in usage, but I can’t predict when that will happen. Speaking of value traps, tobacco is one of those industries in decline. This has been true for decades and investors have had good returns but the key question is how fast will the decline be in the future and is the cash flow on hand today enough to offset the declines. Although I will be one to say the declines in tobacco are more favorable than the declines in retail. Great points Mike. The tobacco industry has been one that’s had a very slow decline. This has allowed investors to extract considerable value over time, and the ability to raise prices has been a big part of this. Not every industry in decline is so favorable. The “Declining industry Trap” is really something we have to be careful with. GE didn´t look that bad from last year´s perspective, not only based on (foggy) fundamentals but also chart-wise. So it´s easy to say ” How stupid could we be? “, but still with the info from last year, it was hard to detect. The up&downstream industry comes into play as a possible next candidate in this scenatio, but the question is, which other sector can compensate them? The traditional automotive sector is under heavy fire, especially in Germany ( VW, Daimler, BMW) and they are nice dividend payers as well. But is there really so much overvaluation in these sectos and is their business model outdated ? Not sure. On the other hand: What about Apple and Facebook, Twitter etc.? Everyone loves them, sky is the limit, must have stocks. If the sleeping dragon (his last meal was a company called Nokia) wakes up, it can be blood sweat & tears for the FANGs. Hard to forecast the future is…. One solution may be to cut the exposure to specific business sectors down to an acceptable level so that the risk is not bigger than our individual Castor container. Thanks for sharing your thoughts Senior Crown! It’s always a good thing to get a diverse set of opinions. We got burned with GE but glad we got out before it was too late. The declining industry trap is definitely something to look out for. Use the smell taste and evaluate whether the industry has any strength left before you dip your toes in. Sorry to hear you got burned by GE Bob! The problem with large companies like GE is that they’re in sooo many industries. I’m not sure if I could do a proper smell test on all of them. I think we’re in agreement on that one. Or, you might try investing in companies where you can develop a information advantage. There’s plenty of industries that have lots of externally published information available. Many times it’s even freely available. Every time I get burned by an investment, I add a rule to my scorecard. True for the product and business story as well as for the chart picture. If only the technical parameters look good, but you don´t like it – don´t buy it. Great post. What do you think of GE @ < 9? Eventually someone will extract value by breaking it up. Honestly, it’s such a complex business I have a hard time trying to value it. I won’t even pretend to guess the breakup value. There’s no way I could say I understand what each of those dozens of smaller businesses inside of GE look like in 5 years either. Creating a proper discounted cash flow estimate would be impossible. The debt situation is fairly complex too. My instinct says “too hard”. Ugh… this just makes me want to stick with index investing more than ever. You’re so good at digging into this stuff, Mr. Tako and you likely come out much further ahead than I do, but it always seems like work I don’t want to do. One another note, I did get lucky though and jumped out of GE at just shy of $27. But that was just me wanting to get away from most of my individual stocks and move more toward the market as a whole when I did it. That WAS a good move to get out of GE at $27. Nice job there. Got it. Don’t buy a stock in a declining industry. PM and MO? Luckily, I sold it as it kept sliding. We lost a bit of money, but not too much. RTR did really great at $27. Good move. As others have mentioned, the tobacco industry is something of a special case. It has unique attributes that allow it to decline very very slowly. Sorry to hear you lost some on GE too. Man, lots of people got sucked in on that one. I also almost got burnt by GE, I got in a few years ago at $21, then sold it at $23 last year luckily. This was strangely after reading a Seeking Alpha article regarding GE’s financial woes and debts and high possibility of a dividend cut, I felt the SA author was correct and acted accordingly. Strangely enough it was a jerk-knee reaction, which I normally don’t do. Others that I avoided recently was PCG. I bought it after the big drop at 43, then for some reason I soured on that stock and sold a few months later at 46. Last time I checked it was at 24. Others I was not so lucky were KMI , I bought relatively high and the dividend cut in 2015 caught me by surprise. Nowdays, I am leaning towards indexing the entire market, and possibly just adding to my existing winning holdings since I am still a dividend growth investor at the core of it. But I am not really keen these days on adding new individual stock positions. As you say these stocks are cheap for a reason. Nothing wrong with stock picking, but you are unlikely to get a bargain. Just a good growth stock with luck..
Nice summary! I find that the value trap doesn’t just apply for individual stocks but regular things in life as well. Being Optimizer, it’s easy to chase after value, but sometimes it comes at a cost. I found this to be true for electronics. I used to buy cheap laptops, but they kept dying in less than 2 years, so ended up costing me more money over the long run. Now I stick with my Macbook Air and it’s been going strong for more than 5 years. And in terms of investing, we’re also not chasing individual stocks in terms of value either. Indexing is definitely paying off. I held GE for quite a few years and luckily got out in the 20’s. I barely broke even, but I’m glad I didn’t hang onto that value trap. Thanks for the insights. I think your article makes sense.